FileMaker Pro is part of a unified platform to create custom apps for mobile, cloud, and on-premise environments. Business teams use custom apps to quickly solve unique problems — even as they change. Build your own custom app or explore the many built-in Starter Solutions to manage contacts, inventory, projects, and more. Choose from a variety of professionally designed Starter Solutions to manage contacts, inventory, projects, invoices, assets, and more. 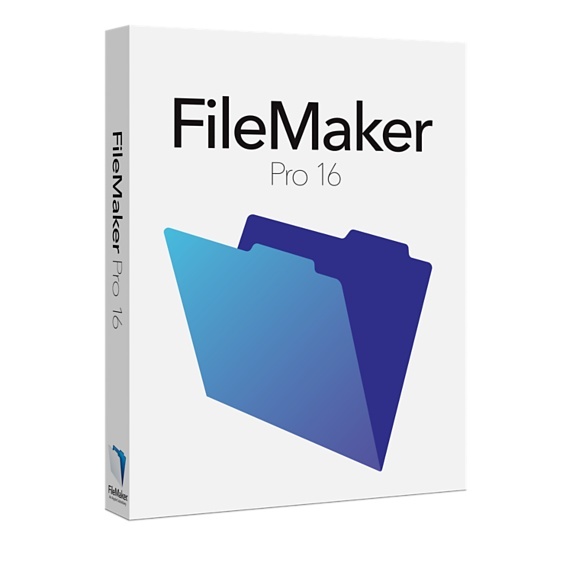 Bring your existing data into FileMaker Pro, including .CSV, Tab, XML, ODBC, and Microsoft Excel files. Easy-to-use reporting and charting tools make it easy to make summary reports, colorful charts, and executive dashboards with a few clicks. Save your information in popular Excel and PDF formats. Exchange and interact with data from other applications. Plus, create live, 2-way connections with Microsoft SQL Server, Oracle, MySQL, PostgreSQL, and IBM DB2 data sources. Get a hierarchical list of all objects on your layout. Select an object and instantly make a change without having to ungroup the set. Plus, easily find stacked or hidden objects on your layout. In one easy step, create windows that are automatically sized and placed appropriately on the main screen. Users can open other windows or files without having to first close the card. Get a more native Windows OS experience on FileMaker Pro with the brand-new user interface. Save valuable development time with the ability to copy and paste value lists in FileMaker Pro. Dynamically open hosted FileMaker files by specifying a variable when choosing a file path. With more than 90 cURL options to choose from, easily create detailed HTTP/HTTPS network calls to request JSON data from other applications via REST APIs. Use predefined functions to simplify parsing and generating JSON data requested from other data sources. Extend the capabilities of third-party plug-ins with support for external script steps in the FileMaker Plug-in SDK and the iOS App SDK. Get more details about the security of your network connection, such as information about SSL certificates, related details, and certificate validity. Use your existing Amazon, Google, or Microsoft Azure account credentials to log in to your FileMaker-based custom apps. Ability to encrypt text in a field.